Put Isan Soul on your list of favourite cheap eats in Melbourne CBD! 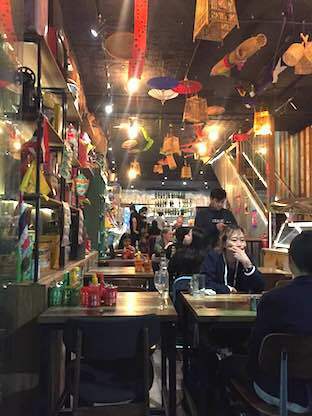 Quirky décor, attentive staff, crammed spaces and an energetic vibe that will make you feel like you're in Thailand. This is part of the experience! The food is authentic and has a diverse range to suit all palates, from curries and grilled meats, to green papaya or minced duck salads for those looking to be adventurous and craving the spicy flavours of Northern Thailand. Asian food is best shared, so head there with a group of friends and select a variety of dishes with different flavours. 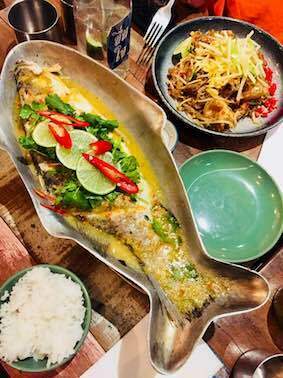 I recommend a serve of the melt in your mouth steamed whole Barramundi, infused with delicate lemongrass flavours. Another must have is the Signature Pad Thai with King Prawns. 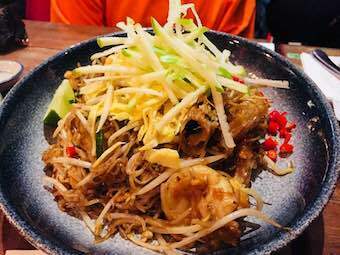 A dish I usually avoid as it's often made too oily, Isan Soul makes it to perfection - subtle peanut flavours, succulent king prawns and crunchy bean sprouts tossed through rice noodles, sprinkled with ground peanuts and topped with shredded omelette and crunchy green apple. 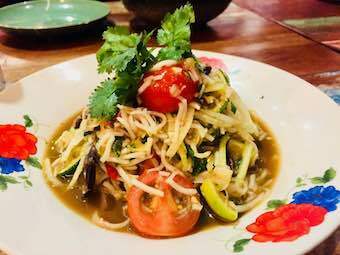 For a dish not usually seen at your run of the mill Thai restaurant, try the cold noodles with papaya green salad. The fermented crab is a unique taste, and the spiciness not for the faint-hearted so order some jasmine rice on the side for balance. Isan Soul, unfortunately not accessible, nor for people with mobility problems but has a great vibe and quirky 1970's décor displaying memorabilia including tiffin boxes, auto-rickshaw fronts, plastic water pistols, and more, that will have you reminiscing of childhood days. Open for lunch and dinner, noon-10pm, 7 days. Great food and atmosphere.